Domes, Their its Historical Usage and Class Division. For this blog, we look to R.Buckminster Fuller. Richard Buckminster “Bucky” Fuller (/ˈfʊlər/; July 12, 1895 – July 1, 1983) was an American architect, systems theorist, author, designer, and inventor. Fuller published more than 30 books. He popularized terms such as “Spaceship Earth“, ephemeralization, and synergetic. He popularized the widely known geodesic dome. Carbon molecules known as fullerenes were later named by scientists for their structural and mathematical resemblance to geodesic spheres. Fuller was all about how parts of a system interact. He was an engineer. My internal link immediately above applies interaction to number squares. In this regard, ancient civilizations were all about synergy. Click on the link to find out how. How’s this for a peaceful way to effect change? Fuller divided dome history into two classes. The 1st maintained the dome’s basic shape. It was elongated for swift directional functions. The 2nd class evolved into the square. This represents most of the works of western civilization. Fuller discusses how the 2nd class excludes science and its effects. It is a deterioration of structural principles. Class one shows domical scientific competence. It evolved from from grass basketry and wooden boats. Later it became the basis of aluminum and steel shipbuilding. More recently it has become aero-astro air frame power plant instrumentation. At first boats had the appearance of a sealed basket. These are depicted on Egyptian tombs dating back to 2500 B.C. In Scandinavia boats were used to build houses. There, upon reaching land, boats were overturned. Norsemen transformed them into a religious meeting building. Domes have universality of gravity and geometry in a most optimum fashion. In part, I wrote this blog, to point out the wisdom of the ancients. I believe there once was a Golden Age. Why shouldn’t we reclaim it? Seemingly Magical Synergetics & R. Buckminster Fuller. 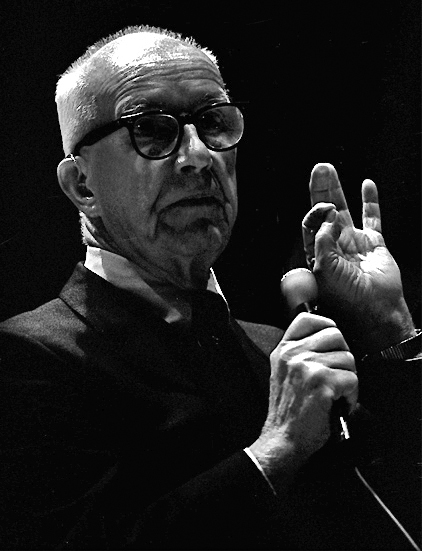 First, who was R. Buckminster Fuller? What is Fuller’s definition of synergy? Basically, you cannot predict the behavior of any system by looking at its individual parts. In Synergetics, section 109.01 Fuller states: “All alloys are synergetic.” He explains how chrome-nickel-steel has a far greater combined tensile strength than the combined muscle of all its individual metals. That is what makes the jet engine stable for high speed travel. Otherwise, the engine would melt. To advance peacefully toward the next step in our collective experience , we must understand synergy. The ancient Greeks and older cultures knew of the synergy of the 3 x 3 number square. This dates back to at least the Mesolithic era.∗ In a similar fashion, the 3 x 3 number square can make civilization stable today. Its synergetics, in turn, will make war obsolete. .
∗Mesolithic Period is also called Middle Stone Age. It is between the Paleolithic Period (Old Stone Age), with its chipped stone tools, and the Neolithic Period (New Stone Age), with its polished stone tools. They kept a Golden Age afloat with its synergy. Fuller does write about this. Actually, in the entire Universe, the 3 x 3 number square is the ultimate synergetic model: If you look at its parts, you will never know the entirety. The entirety encompasses infinity. In seemingly magical synergetics; it synergizes all. “Where is the interaction of its parts”, you are probably asking? Add the numbers around the central 5 (I term these numbers p1 which stands for perimeter one). 4 + 9 + 2 + 7 + 6 + 1 + 8 + 3 = 40. That is the single and obvious view. Let’s continue. Add numbers two at the time overlapping the numbers. (I call this p-2. This stands for perimeter two: 49 + 92 + 27 + 76 + 61 + 18 + 83 + 34 = 440. Now take the numbers three at the time. Overlap the third with the first number. I call this p-3. This stands for perimeter three. 492 + 276 + 618 + 834 = 2,220.Then (p-1) is 40 + (P-2) is 440 + ( P-3) 2,220 = 2700. Finally, Divide this 2700 total of p1 + p2 + p3 by/ p3(2220) or 40 + 440 + 2220/2220 = 1.2162…’ which is virtually one Egyptian remen. The remen is 1.2165 feet. Very important: A remen = 14.6 inches. (12 x 1.2165). The inch is of ancient origin. Cubic inches of gold were standard weights. Samples exist from Greece and Egypt. They are in the British Museum. Many blogs on DSOworks.com define and reveal different aspects this most precious gem of mankind. I strongly believe Atlantis existed. They strayed from the way. Plato wrote about the subject. The seemingly magical synergetics of this number square can remake our existence harmonious with one another once more. I AM NOW CLOSE TO 88 and I am confident that the only thing important about me is that I am an average healthy human. I am also a living case history of a thoroughly documented, half-century, search-and-research project designed to discover what, if anything, an unknown, moneyless individual, with a dependent wife and newborn child, might be able to do effectively on behalf of all humanity that could not be accomplished by great nations, great religions or private enterprise, no matter how rich or powerfully armed. Fuller describes synergy in his book Synergetics Section 109. I will quote a discourse in one of my treatises. It is between myself (D.O.) and two seekers of knowledge. Here I reference Fuller as I discuss the keyword, togetherness. Seeker II: So it seems that synergy would be defined as the behavior of the total system which cannot be predicted by the behavior of its parts. D.O. Yes. Most people have the mindset that a chain is no stronger than its weakest link. Synergy gives components “magical qualities”. This is just like love strengthening the bond between people in a magical way. Seeker II: Could you explain what you mean? Iron which can old withstand 60,000 pounds per square inch in pressure. Other elements add another 50,000 pounds per square inch for a total of 260,000psi. The actual tensile strength of a jet engine is 350,000 per square inch. This is 90,000 pounds greater than the sum of all its parts. That is the reason for the featured picture. Octavian is later crowned as Augustus, first emporer of Rome. Our opera is all about how he realized his love for Cleopatra; but unfortunately, too late. As emporer, he built memorials to her and personally takes on the oversight and care of Egypt. He vowed to become the kind of man she would have loved the most. If that is not synergy, then what is? Harold Weiner kindly made us this postcard for the charity work we did the the Sarasota Music Archieves. Our opera is fully orchestrated. It has a cast of seven. It was staged at the Players Theater in Sarasota, Florida. Rubik’s Cube has an Element of Synergy. Rubik’s Cube is a 3-D combination puzzle invented in 1974 by Hungarian sculptor and professor of architecture Ernő Rubik. First, what is synergy? Answer: The unpredictable behavior of the whole based on the parts. What are the parts of the cube that lead to synergy? Each square side of the cube uses a tick-tack-toe board frame. This frame can houses the traditional 3 x 3 number square pictured below. Any row of 3 numbers on it totals 15. Its trisected lines total 6 vertical and 6 horizontal line segments as pictured. These 6+ and 6- lines on each side can bend around the central “5” square to form a cube. The cube has 12 edges. Examine Buckminister Fuller’s book Synergetics. In section 401.00 he states there are: Twelve Vectors of Restraint, 6 positive and 6 negative. They define a minimum system. So does Rubik’s cube. Plato in Laws, describes how the cube and octahedron are the only two harmonic figures. The cube has 12 edges and 6 faces. This 2 to 1 ratio characterizes an octave in terms of vibrations per second. The octave, or the “8” tones that comprise the octave, define its 8 corners by number. Eight is 1/3 greater than six. Eight is 1/3 smaller than 12. The eight feature brings the entire system in harmony by ancient thought. Finally, the octahedron shares the numbers as the cube as follows: It has 12 lines (like the cube). It has 6 corners (while the cube has 8). Finally it has 8 faces (while the cube has 6).Faces and corners trade places with numbers 6 and 8, . Lines remain the same as 12 in the dual relationship of the cube to the octahedron. This demonstrates one instance of what Buckminister Fuller means by synergy: Only the general harmonic topological numbers (6,8, and 12) is the same. The specific applications are different. The octahedron is a dual figure to the Rubik’s Cube, or any cube. Why Am I Blogging About Rubik’s Cube? Number squares and the geometry of the regular polyhedrons were the modus operandi of antiquity. The Rubik’s cube demonstrates one of the 5 possible regular polyhedrons. The grid on each of its faces frames the grid of the 3 x 3 number square. This was common knowledge among the high priests of Neolithic times. Many of these cultures were peaceful. Riane Eisler, in her The Chalice and The Blade, goes into great detail on this subject. Civilizations lasted thousands of years. I say, let’s go for some durability in our own. In my blogs I hope to offer a possible formula. Let us return to a more peaceful state of being. Buckminister Fuller is a “comprehensive engineer”. How does everything interact was his question. Synergetics, his masterpiece, is such a book. It is not for the faint-hearted. Connect the centers in any of the baskets of four, stacked and tangent fruits. You have a tetrahedron. That’s how basic that shape is to nature. Molecules, everything uses the closest packing of spheres. Structurally, tetrahedrons can be imagined as remaining when the fruits are removed. Just keep the center to center picture in mind. The tetrahedron is the basic regular polygon. The other four are viewed as multiples of this first. Its outline results from the packing of spheres, like at a fruit market. Buckminister Fuller, in Synergy 108.01-02, states how two prime events are tetrahedronally co-ordinated. Two triangles come together. They have open ends. They then create the 6 lined tetrahedron. The Star of David uses two triangles. When forming into a tetrahedron, they become left and right helixes. Their 6 edges then makes the 6-edged tetrahedron. Look the the picture of the tetrahedron. It has four corners, six edges and four faces. As blogged about, letters actually doubled as numbers in antiquity. In today’s numerology, letters are merely assigned numbers by free association. David, in Hebrew, is spelled, dalet, vav, dalet. דוד (David). Hebrew goes from left to right. The first letter, a dalet, equals 4. The second letter, a vav, equals 6. The third letter, another dalet, equals 4. Here is the incredible connection. Both the hexagon and the tetrahedron define David. A tetrahedron has 14 topological features. Its 4 faces, 6 edges, and 4 corners, by gematria, reconstitute David’s name as dalet(4), vav (6), dalet(4). Two triangles interact to form the tetrahedron. The shield of David has two triangles. Conclusion: Both the name “David” and his symbol represent a fundamental natural processes. It is called by the name, synergy. This is when the behavior of the whole is unpredictable by its parts. In this manner, two triangles of the star become four faces of the tetrahedron. Buckminister Fuller humorously illustrates this with the following equation: 1 + 1 = 4. This can happen when fruit, atoms or molecules are packed. The Biblical wisdom just in even a single name, but what a name, is awesome.